Korea launched a national e-procurement system on September 30, 2002. The adoption of the e-procurement system in the government of Korea has been acknowledged as successful. This article presents a case study describing the public e-procurement system of Korea, analyzing the development process, and determining factors in the successful adoption of the system. The Government E-Procurement System (GePS: www.g2b.go.kr) is a portal site providing information on public procurement and an application service provider for public procurement as a whole. GePS advances procurement services by reducing paper work and red tape, expanding the range of commodity selection, and standardizing services. Government-wide support, including that of the president, had an instrumental role towards the successful adoption of GePS. 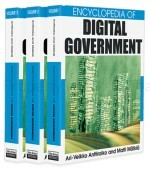 The high capacity of information technology and institutional collaboration among public agencies were other foundations for the successful establishment.